Just because you don’t have your own house doesn’t mean that you have to pass on decorating for Halloween. Even those on the cheapest of budgets can find ways to add some fun to their apartment and get in the spooky spirit without damaging your rented digs. Here are some ideas to get you started. Paper Chains- Find yourself with some extra time due to the weather? Why not tap into your inner child and make a traditional paper chain. All you need is orange and black construction paper, scissors, and a stapler or glue. Cut the construction paper into equal sized strips then create the first loop using one strip. Take the next strip and place this through the first link, forming this into a loop and fasten and continue until you get the chain as long as you want. Then just hang it up around your apartment! Painted Pumpkins– Love picking pumpkins but don’t want to go through the mess of carving it and then having it rot a few days later? Instead get some paint and get creative. If you’re afraid that your painting skills are lacking, you can also get stencils which will make it even easier. This is fun because it doesn’t take a lot of time and you can make any color or design. Also, you can keep the pumpkin inside your apartment and it lasts a lot longer than a carved pumpkin so you can keep it as decoration even after Halloween. Door Decorations- This will show your Halloween spirit to anyone who passes by and it’s really easy. One option is to go out to the store and get a pre-made door cover for around $5. Or, if you want to stand out you can also make your own bats, ghosts, and witches out of construction paper to tape to your door. Also consider adding fake spider webbing wrapped around the door and draped over the door frame. Another plus is that your door decorations can also work on your windows as well so even people on the street can see your Halloween spirit. Haunted Candy Dish– What Halloween would be complete without some candy? Even though you may not be trick or treating anymore, it’s always nice to have a treat or two around and it can also double as a perfect decoration for a party or just when you have friends over. 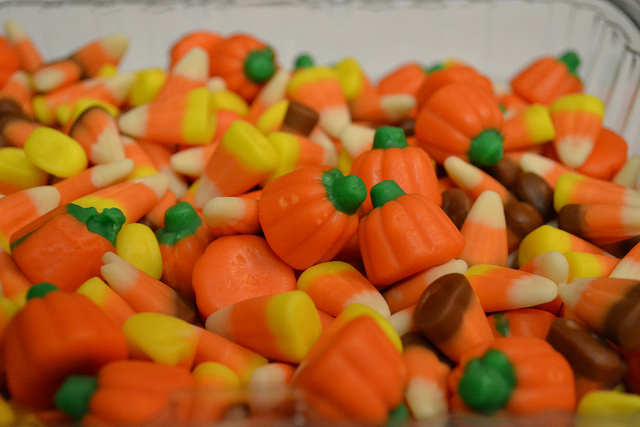 Go out to the store and get a Halloween candy dish. There are lots of different ones from a bowl with a hand that clamps down on anyone who takes candy to a simple black caldron but all of them will add a little something special to your apartment! Start with these tips and get creative with your decorations! And have a happy and spooky Halloween! 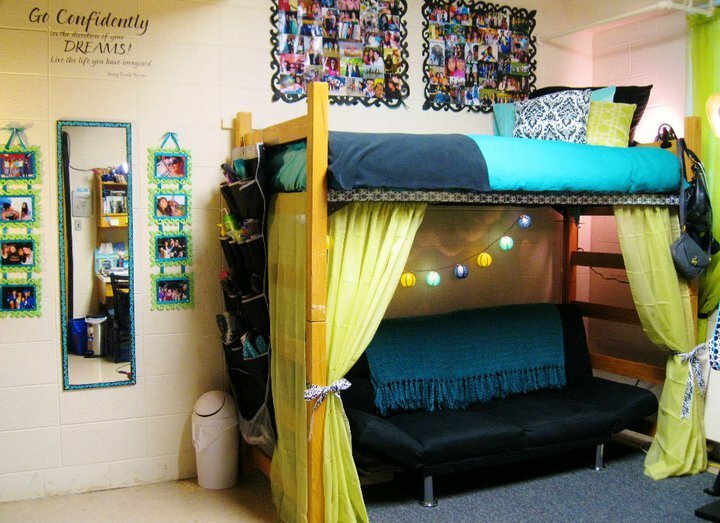 Back to School: How to Decorate Your Dorm Do College Students Need Renters Insurance or Does a Homeowner’s Policy Provide the Right Coverage?